Very attractive newer brick building. 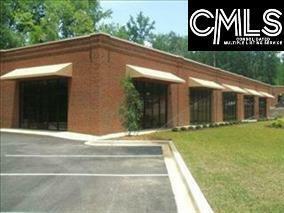 Units B-C-D have 4840 square feet office space in the heart of Irmo. High traffic easy access to I-26 Lake Murray and Harbison. Perfect for new or expanding business, including 16 parking spaces. Space can be divided down to two units - 3240 SF for $3240 month. Very reasonably priced at $12 SF/YR. Owner pays tax insurance and maintenance. Listing provided courtesy of Equity Real Estate Services.